The Bold and the Beautiful (B&B) spoilers reveal that there’s some preemption news to pass along. It’s time for March Madness again and that means B&B will take a quick break. Thursday and Friday’s episodes will be replaced with basketball coverage. 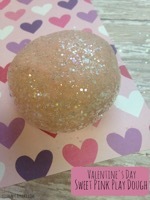 Unless you’re a sports fan, you can spend March 15 and 16 doing something else in the afternoon. 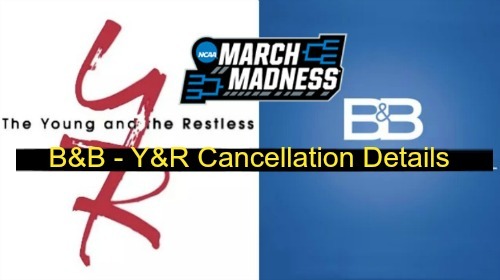 The Young and the Restless will also be preempted, so that will affect viewers who faithfully watch both daytime dramas. Schedule changes can be annoying, but they’re to be expected with March Madness. CBS always fills those timeslots by airing the tournament instead of soaps. The Bold and the Beautiful may be taking a breather, but you could switch over to General Hospital or Days of Our Lives. They might be worth a try if you just can’t wait for more secrets, scandals and shockers. Some soap fans out there watch all four, so it’s good to know that DOOL and GH will follow their normal schedules. Fortunately, B&B will return on March 19. We won’t have to wait long for more shooting fallout. The Bold and the Beautiful spoilers say the suspect list will continue to grow. Bill (Don Diamont) had many enemies, so detectives will be left wondering which one of them would stoop this low. Of course, the investigation will heat up before the preemptions as well. There’s some good stuff on the way during this three-episode week. Caroline (Linsey Godfrey) will be back on a mission to earn Thomas’ (Pierson Fode) forgiveness. She’ll make some daring moves as she tackles the crisis and tries to go up against Sally (Courtney Hope). Wyatt (Darin Brooks) and Justin (Aaron D. Spears) will also face some heated conflict. While their war’s going on, Sheila (Kimberlin Brown) will be full of surprises. Ridge (Thorsten Kaye) will some shocking info from Sheila, but it seems it won’t involve the shooting. Sheila’s shady history will come back into play, so Ridge will be interested in the comments she offers. It sounds like B&B will deliver some fun. We’ll give you updates as other details emerge. Stay tuned to the CBS soap and don’t forget to check CDL often for the latest Bold and the Beautiful spoilers, updates and news.